Chat App ‘Slack’ has announced the introduction of a new ‘Actions’ feature that makes it easier for users to create and finish tasks without leaving by having access to more 3rd party tools. Slack, launched way back in 2013, is a Silicon Valley-produced, cloud-based set of proprietary team collaboration tools and services. It provides mobile apps for iOS, Android, Windows Phone, and is available for the Apple Watch, enabling users to send direct messages, see mentions, and send replies. Slack teams enable users (communities, groups, or teams) to join through a URL or invitation sent by a team admin or owner. It was intended as an organisational communication tool, but it has gradually been morphing into a community platform i.e. it is a business technology that has crossed-over into personal use. In March 2018, Slack and financial and human capital management firm Workday formed a partnership that allowed Workday customers to access features from directly within the Slack interface. 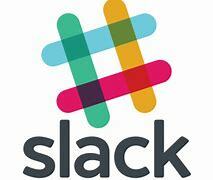 Slack is believed to have 8 million daily active users. What Is ‘Actions’ and How Does It Help? The new tool / feature dubbed ‘Actions’ will bring enterprise developers deeper into Slack, because it allows for better / more integration with enterprise software from third-party software providers e.g. Jira, HubSpot, and Asana. Slack knows that many users now like to choose what software they use to get their job done, and the Actions feature will, therefore, be of extra value to the 90% Slack’s 3 million paid users who regularly use apps and integrations. Actions can be accessed using a click or tap of any Slack message, require no slash commands, and are being made available to all developers using the platform to deploy bots and integrations. To begin with, Actions will be displayed based on what individuals use most frequently. If you use / your business uses Slack, the interoperability of these systems resulting from integration between software from third-parties means that you have greater choice in what software you use to complete your tasks without having to leave Slack. This offers time and cost saving benefits, as well as a considerable boost in convenience. Slack knows that there are open source and other alternatives out there, and the addition of Actions will help Slack to provide more valuable tools to users, thereby helping it to retain loyalty and compete in a rapidly evolving market.